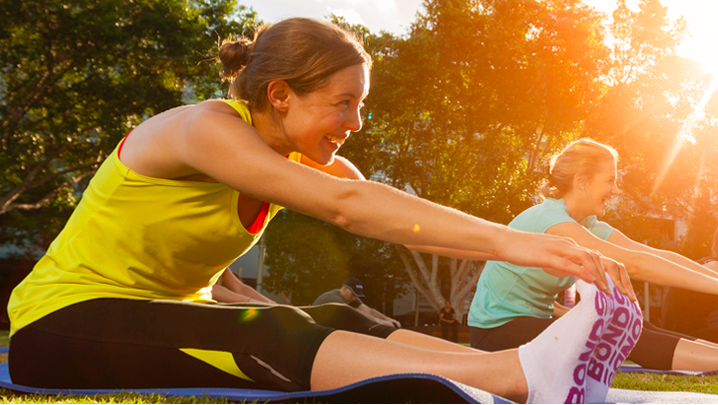 Brisbane's free outdoor fitness series, the Medibank Feel Good Program, returns for 2019! Head down to South Bank Parklands and Queens Gardens in the City to indulge in some serious me-time. Featuring a mix of relaxing workouts plus high energy classes, the Medibank Feel Good Program will leave you feeling, toned, healthy and happy. Classes are designed to suit all fitness levels and tastes and range from Yoga to Pilates to Zumba, to name a few. Commencing on Monday 28 January until Saturday 30 March, 2019 classes are held at South Bank Parklands on the Little Stanley Street lawn with the exception of Aqua (held in the Boat Pool) and Mums & Bubs Pilates (held in the South Bank Piazza). City classes will be held at Queen’s Gardens, next to the Treasury Hotel. To plan your workout, check out the class timetables below and visit here for further information. Bookings are not required. See you there and don’t forget to bring a water bottle to keep you hydrated.